So, I hurt my ankle. Nothing heinous, just a sprain. Last week, as is now becoming tradition, I foreran for ABS Nationals. As an integral part of the setting team (actually this is something of a falsehood, I've just got them convinced I'm an important part), I'm expected to take repeated and semi-controlled falls from the top of the bouldering wall. Being on the setting crew for a competition is a prime place to hurt oneself. There are no warmups, sometimes tweaky moves, and ladders and tools everywhere. Not that that has anything to do with the story of the ankle injury though, that's just an anecdote to impress upon you how cool I am. I hurt myself in a far less 'extreme' manner, and without an entertaining story. Colorado crushers Angie Payne, Meagan Martin, Jackie Hueftle and Lizzy Asher have all caught the American Ninja Warrior bug. As it turns out, there is a gym in Boulder, CO, Apex, that caters to that niche. I desperately needed a rest day from climbing after Nationals but was unwilling to succumb to the inertia of my parent's house so I agreed to go. It started out innocently enough, I played catch up, just trying not to make an absolute fool of myself. Eventually this led to pseudo-confidence, and that was my downfall. 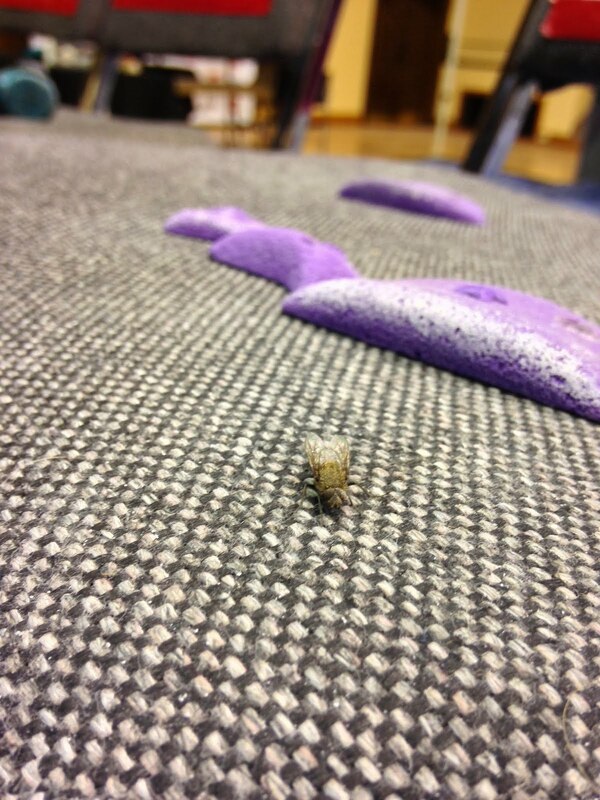 I found myself, mid-air, all but poised to land on a strange foam contraption. I struck solidly with my right foot, and that seemed to surprise all my new found confidence right out of me. My left foot hit the side of the foam thing and compressed/rolled, resulting in a really pleasant popping sound. The pain was immediate, but I did my best to keep my chin up until I could complain to my mother. Getting hurt at home really does have it's perks. While I'm not usually one to complain on the internet, this ankle thing is ill timed. I'm in the best shape I've been in for years, and more than that, I was hyper-motivated. But I guess this, like all the other things people are unwilling to deal with head on, has a silver lining. In my injured stupor I've had a chance to assess (and re-assess, and re-re-assess) the things I really want to put effort into. I've deleted tumblr from my iPhone and replaced it with a chess app. I've considered taking up transcendental mediation, or binging on Dr. Who. I've even read Cosmo articles on how to get that bikini body you've always wanted. But the things I keep coming back to all have to do with climbing. I can't focus on the Daleks 'cause I'm watching Jule Wurm videos on my phone. I want to get better, and this I can't think of a better time to do it. I'm going to be testing out a couple different iPhone apps for climbing specific training. Today I did the Finger Strength workout from Climb Coach. This app costs $4.99, which is a lot, but it's the most well rounded option I've seen yet. 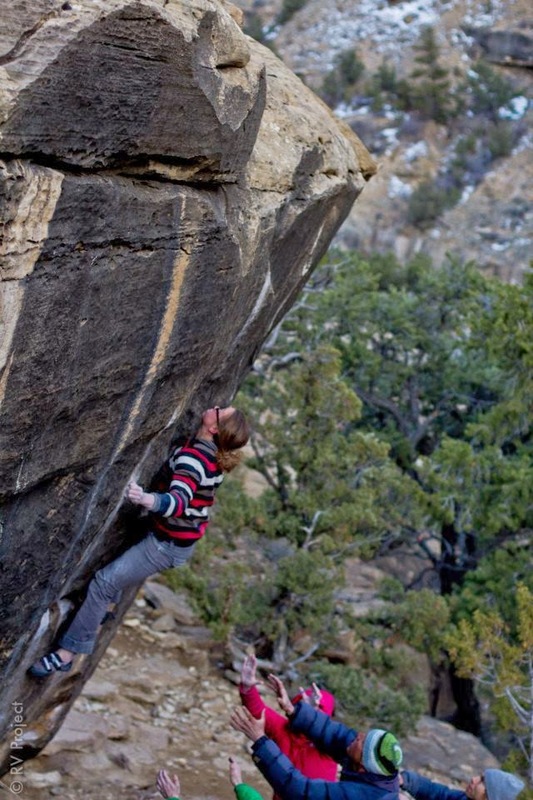 There are myriad workouts designed for route climbing and bouldering. Each workout focuses on power, strength or endurance, and you can pick and chose to create a personalized training schedule. Additionally, the app features helpful videos demonstrating and explaining all the workout options. Honestly, I found myself distracted by Mina Leslie-Wujastyk's climbing prowess on more than one occasion. I'm doing these exercises on the Beastmaker 2000, which is well situated just outside my room. In order to keep down on chalk mess, I'm using Mammut's Liquid Chalk, though I'm worried the increased friction will detract from my finger boarding. And while I'm complaining about things that are actually really great, I'm also worried that the comfortable texture of the Beastmaker isn't going to roughen up my skin enough and I'll end up with the dreaded skin shed. It's crazy how much injury (even just a little thing like this) puts motivation into perspective. It's actually pretty nice to be able to take a step back and really look at what will benefit my climbing for the rest of my career, not just the immediate future. I'm looking forward to healing, yeah, but right now I'm way more psyched for my next core work out and recovery shake. I've got a couple goals, both long term and short that I'm really excited about, but for the time being it's nice to just be psyched. This is what motivation is made of.